For those looking to improve the look of scars, boost collagen, or encourage hair growth, microneedling can offer a minimally invasive solution. 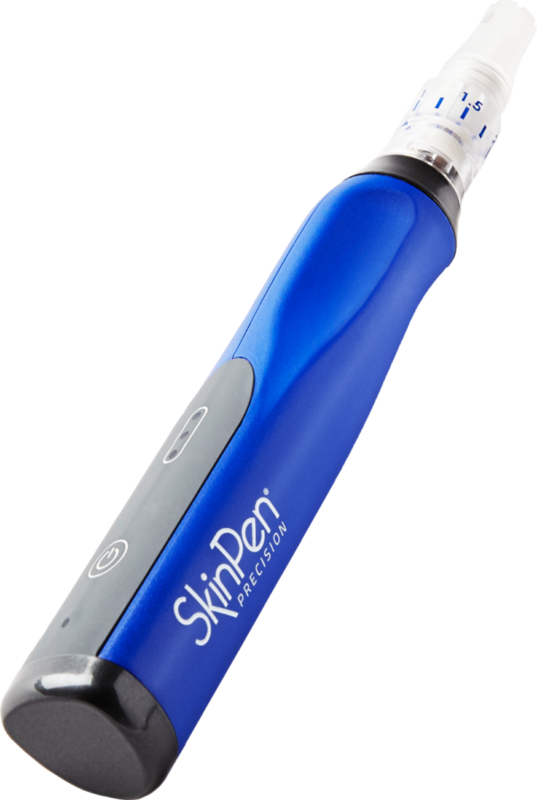 SkinPen by Bellus Medical is the first FDA-cleared microneedling device. It causes controlled micro-injuries that stimulate your body’s natural wound healing process, while minimizing cellular damage. The result is effective remodeling of scar tissue, while keeping the overall structure of the skin intact. Platelet Rich Plasma (PRP) is a treatment whereby a person’s own blood is used. Your blood is drawn in standard fashion. The blood is then spun down in a special centrifuge to separate its components (red blood cells, platelet rich plasma, and plasma). The PRP is first separated then activated with a small amount of calcium to allow the release of growth factors from the platelets which in turn amplifies the healing process. PRP is then injected and or microneedled into the area(s) to be treated. Platelets are very small cells in your blood that are involved in the clotting process. When PRP is injected into the damaged area it causes a mild inflammation that triggers the healing cascade. As the platelets organize in the clot, they release a number of enzymes to promote healing and tissue responses including attracting stem cells to repair the damaged area. As a result, new collagen begins to develop. As the collagen matures, it begins to shrink causing the tightening and strengthening of the damaged area. When treating injured, or sun and time damaged tissue, this can induce a remodeling of the tissue to a healthier and younger state. The full procedure takes approximately 45 minutes to an hour. Generally, multiple treatments are advised and vary by patient. Once optimal results have been obtained then the maintenance period can begin. Benefits of PRP: Along with the benefit of using your own tissue therefore eliminating allergies, there is the added intrigue of mobilizing your own stem cells for your benefit. PRP has been shown to have overall rejuvenating effects on the skin: improving skin texture, fine lines and wrinkles, increasing volume via the increased production of collagen and elastin, by diminishing and improving the appearance of scars and improving hair growth. Other benefits: minimal down time, minimal risks, short recovery time, and natural-looking results. Ready to learn more about Microneedling with PRP and find out if you are a candidate for this treatment? 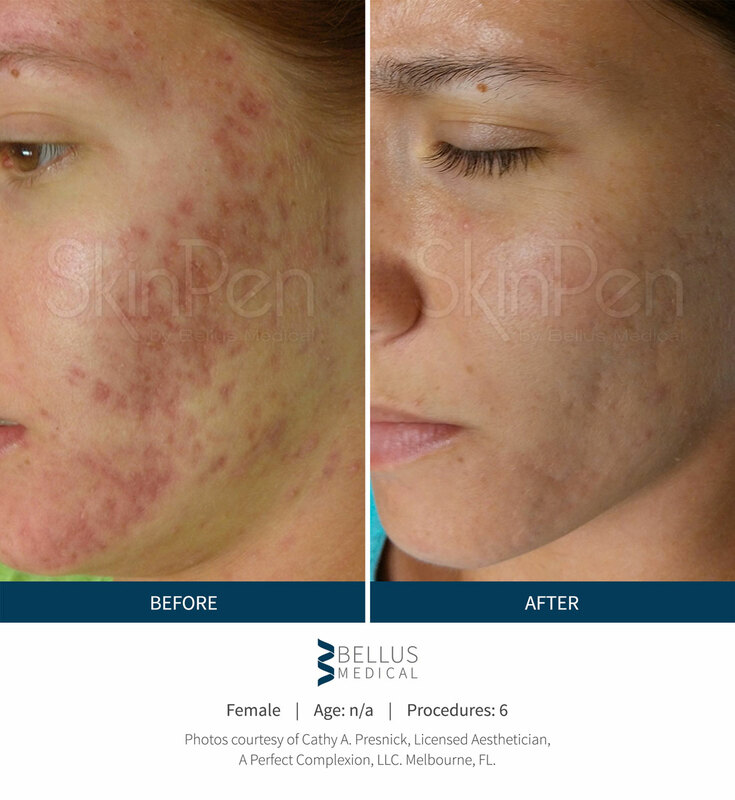 Generally speaking, microneedling is a comfortable procedure. Based on your needs, your provider will likely apply a topical numbing agent to the treatment area. Most patients report feeling only the slight vibration of the microneedling device during the procedure. 2How long will the treatment take? The treatment will likely take about 30 minutes. 3How many treatments will I need? For best results, one treatment is required every 30 days for the first four months. After that, it is recommended to have one treatment every four months to maintain your results. 4What should I expect after a microneedling treatment? The skin will appear slightly pink to red immediately post-procedure, similar to a mild to moderate sunburn. Additionally, the most common treatment responses experienced were dryness, rough skin, tightness, redness, itching, peeling, discomfort, tenderness, and burning. These conditions resolved over time without any further complications. 1How long will the treatment take? 3What should I expect after a microneedling treatment?